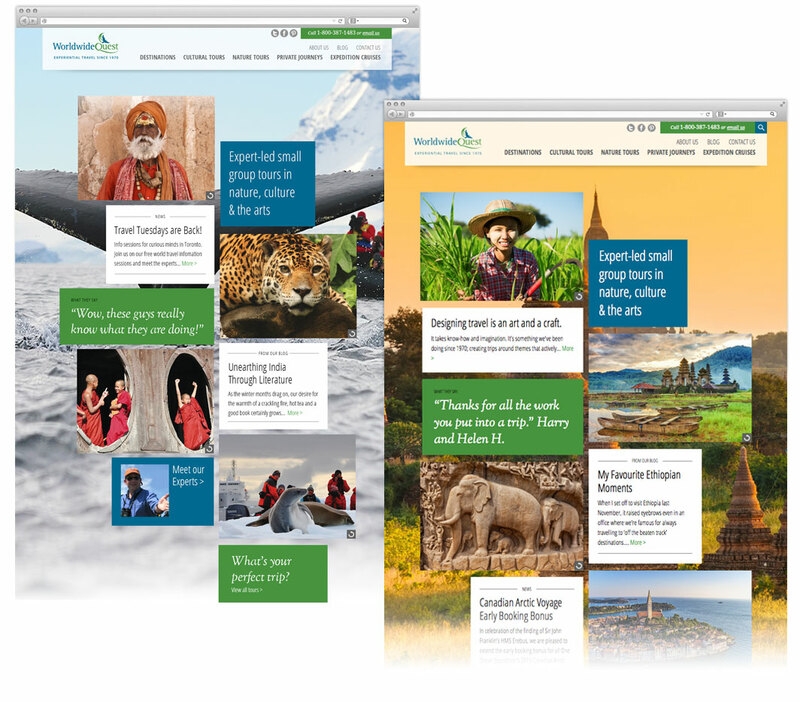 Worldwide Quest needed to update their site and wanted something that would visually excite and inspire their travel hungry prospects to want to learn more about the tours they offered. 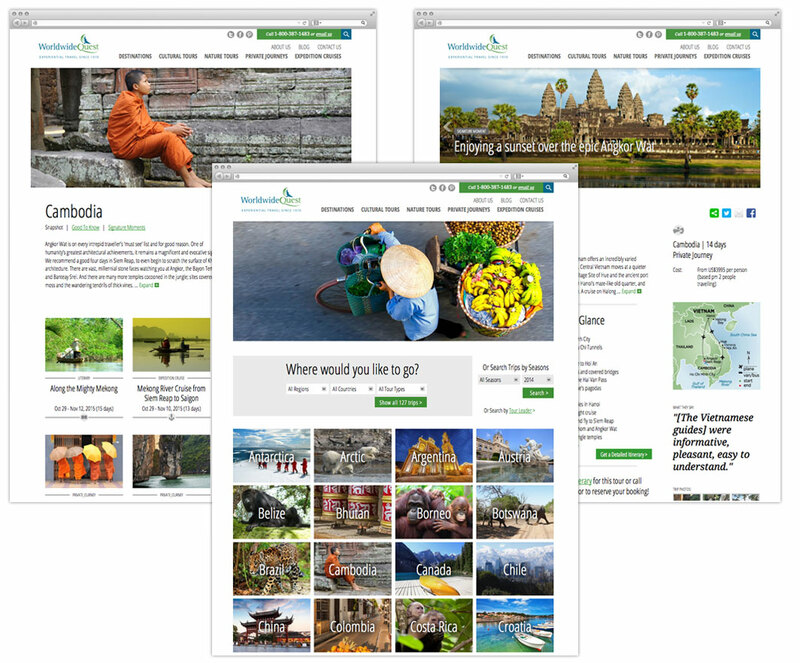 Since their tours were high quality, unique experiences they wanted a site that was the same and served as an example of their commitment to high standards and customized approach to world travel. Since they offered so many different tour types from cultural to nature and expedition to alumni tours we needed a main landing page that would highlight many of the different trip styles. Our Toronto web design studio was able to design a bold, visually stunning site with amazing photos sure to inspire any traveller. Their tours are constantly changing so the landing pages needed to as well. They can easily change the background images and highlighted tours for each different landing page – and there are lots of them, each targeted to specific audiences so they can market each tour type individually. We carried the visual theme throughout the website with large photo sliders on almost every page, visually enticing search pages and informative tour detail pages. We also designed a custom set of iconography to identify the various tour types.